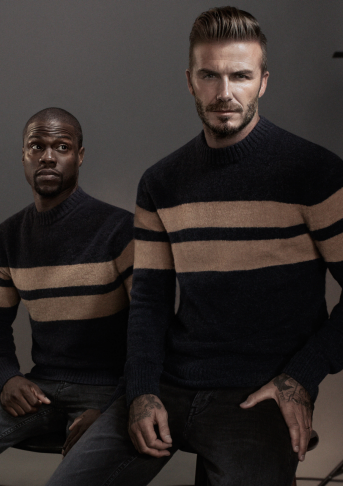 David Beckham has teamed up with actor and comedian Kevin Hart for his latest H&M Modern Essentials collaboration. In the campaign for the new Modern Essentials, selected by David Beckham collection, Hart plays a method actor preparing to take on the role of Beckham, which is hilarious. “Kevin Hart is one of the funniest, smartest guys around. I love to do the unexpected for my H&M campaigns. I hope everyone enjoys watching it as much as I did making it,” says David Beckham. “To be able to make fun of a global icon like David Beckham is a comedian’s dream. I love fashion as much as I love sports, which is why I was so excited to star in David’s new H&M campaign,” says Kevin Hart. Next Mode Studios Present – 100 Years of Weddings!